Line and set-up guidance, for both experienced and new producers. 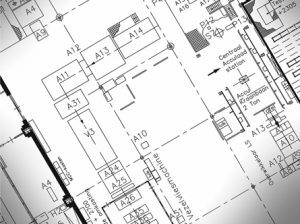 We can provide you with line and set-up guidance and assist you in finding production lines or single machines that suit your needs. With our ever growing network in the nonwovens and absorbent hygiene industries, we can quickly assess which alternative that is available on the market and assist you in making them a part of your production line. New ventures in nonwoven and absorbent hygiene production? Are you considering moving into nonwoven or absorbent hygiene manufacturing, but have no previous experience? We can assist you. With more than 35 years in the industry and solid knowledge about the global market we can guide your new venture in the right direction. Based on previous experience and acquired knowledge we can advise you on potential investments and on how the market in your country will develop during the coming years. Thanks to our extensive experience from the nonwovens and absorbent hygiene industries, we have gained the skills necessary to guide you in the right direction. When analyzing the needs and potential challenges that you have, we provide you with recommendations that takes both production technology and market conditions into account. We can help you. With more than 30 years in the industry and solid knowledge about the world nonwoven and hygiene markets we provide expertise for both the new venture and the already existing producer. Advise on investments by assessing new equipment and comparing it with your current machinery.